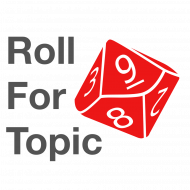 What do props and handouts add to a roleplaying game session? Special guest gamemaster Kyle Latino joins Chris and Andy to discuss the pros and cons of using handouts in your game. The Dragon Ball Z roleplaying game, which served as Kyle’s entry into the roleplaying hobby. The Savage Beard of She Dwarf, Kyle’s online comic. Kyle’s Tomb of the Exquisite Corpse crowdsourced dungeon experiment.